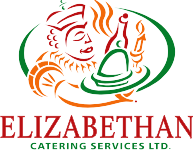 Funeral/Celebration of Life - Elizabethan Catering Services Ltd.
Our staff is some of the most caring and considerate people that you could wish to meet. They will help you in any way that they can. Our business is built generally on happy events, but we can help on this solemn occasion, as well. Bear in mind, that although traditionally, funerals are catered with sandwiches etc., we have fully catered many funerals with a nice hot meal – totally your choice. We will set up the chosen space like a fine dining room, and such a meal with be both memorable and will truly “celebrate the life” of a very special person. MANY OTHER MENUS AVAILABLE FOR YOU. PLEASE ASK YOUR SALES ASSOCIATE FOR DETAILS!